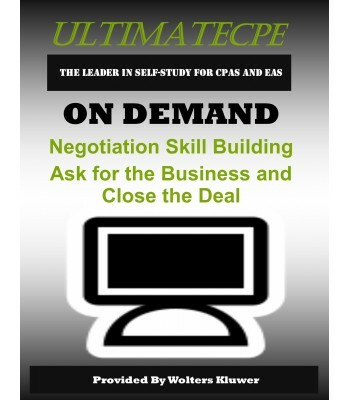 Today’s competitive environment requires the CPA to be a strong negotiator. Attend this proactive webinar and learn to ask for the business and actually close the deal! Sole practitioners, firm partners, CFOs, controllers, department managers, and staff accountants. 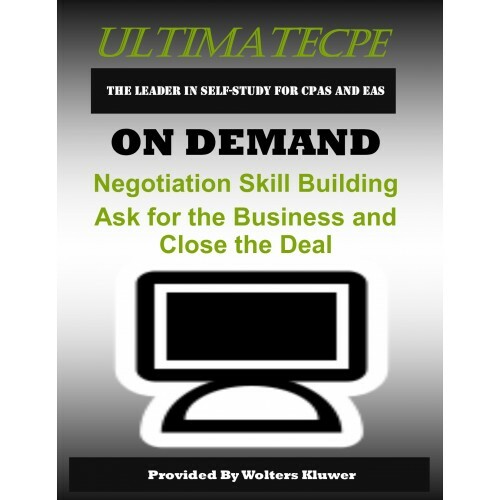 Reinforce the negotiation skill concepts through business development "case studies"